My daughter has just now gotten to the age where she is getting into Barbies, which means the dolls, shoes, and tiny accessories seem to be multiplying. I have been searching for inexpensive solutions to keep it all stored and organized, so I thought I would share some of my favorite ideas with you. 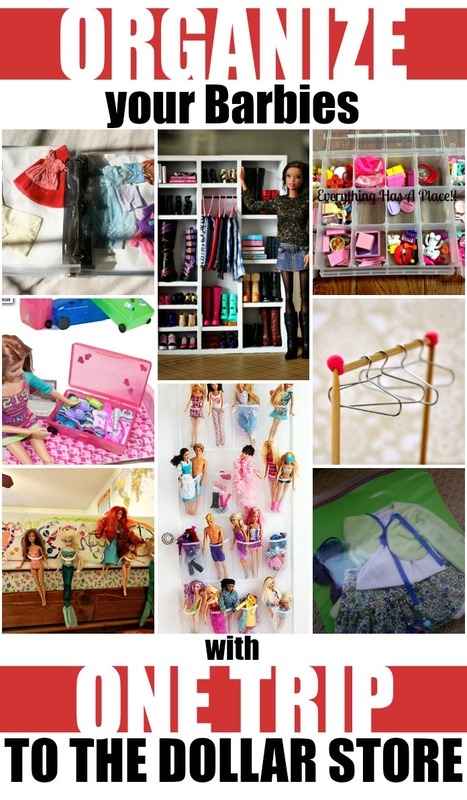 These eight ideas make use of simple dollar store supplies to organize your Barbies. You can find my entire dollar store organization series HERE.